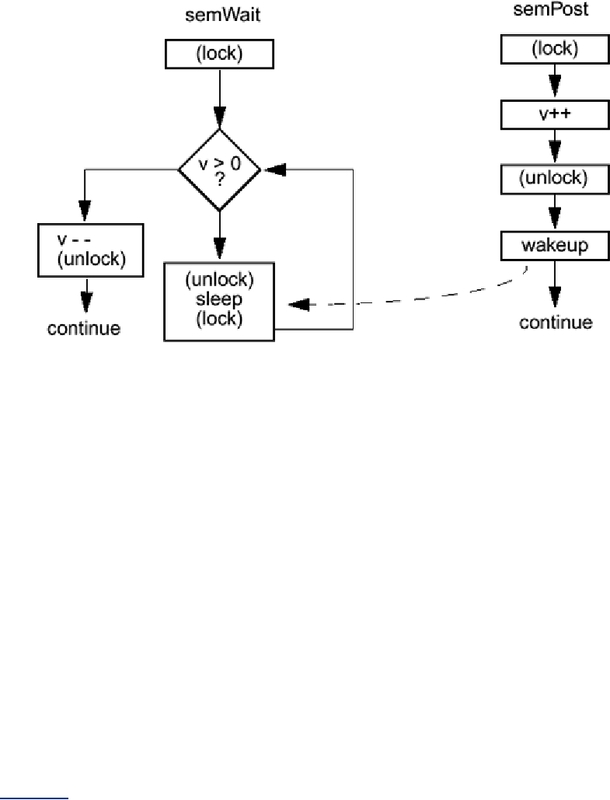 the mutex, and wakes up one sleeper (if there is one). The results are exactly what you expect. it is possible for a thread to be awakened by mistake, but the end results are always correct. your test is more complex than just "Is v > 0?"